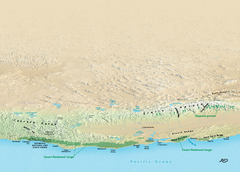 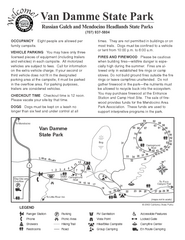 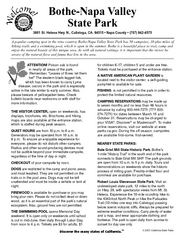 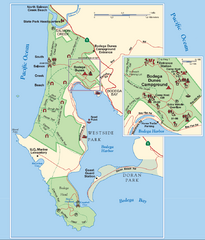 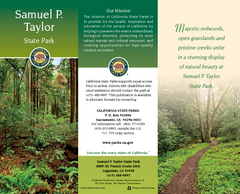 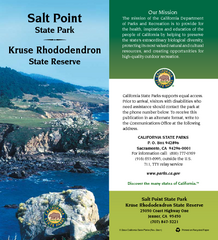 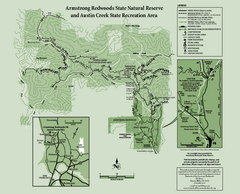 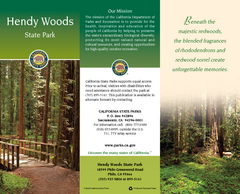 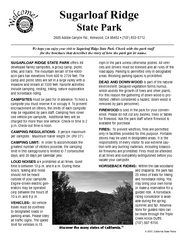 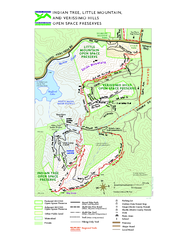 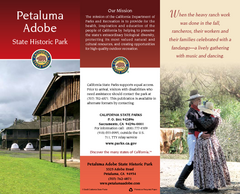 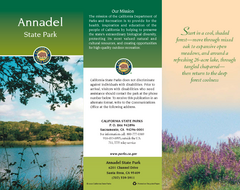 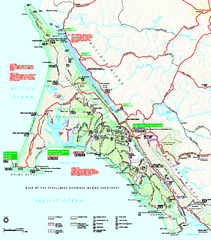 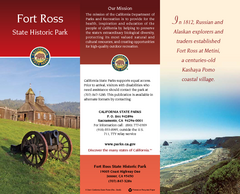 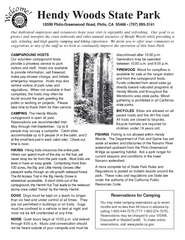 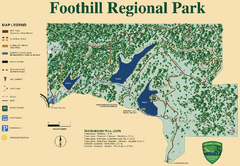 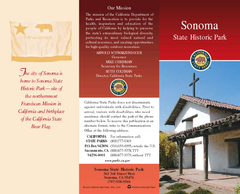 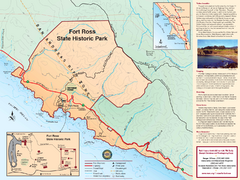 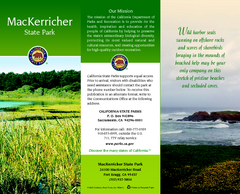 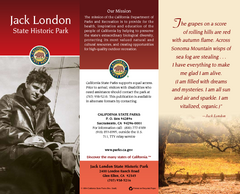 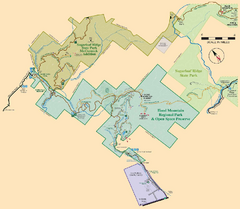 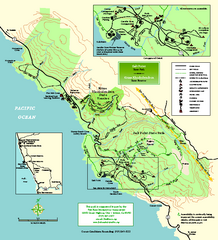 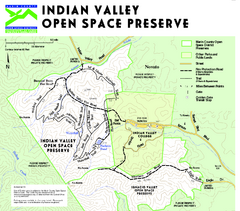 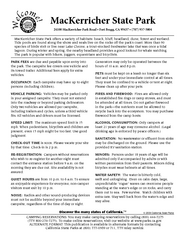 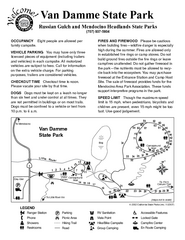 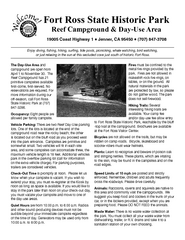 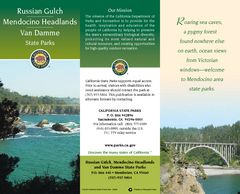 Park map of Foothill Regional Park in Sonoma County, California. 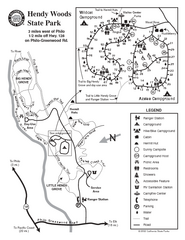 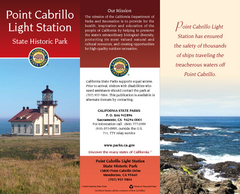 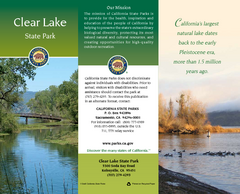 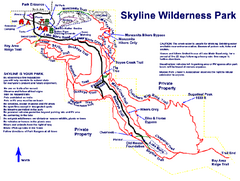 Shows trails and 3 lakes. 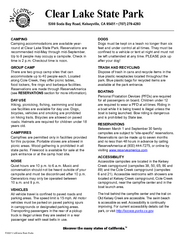 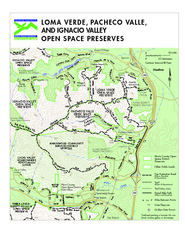 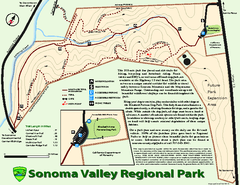 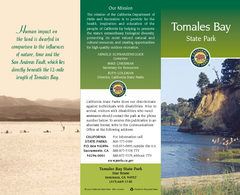 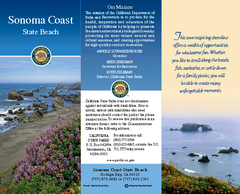 Trail map of 202 acre Sonoma Valley Regional Park.